55.000 properties on our database, among which you might find your future home. 70.000 saved searches by people who want our system to send them property notifications. 495.000 is the number of people that visit enbuenosaires.com each month. The Atlantic coast has spas front line, with beautiful beaches that completisimos provide services, offers variety of dining and hotels, plus excellent walks, the party of the coast is worthy of the trail in its entirety. 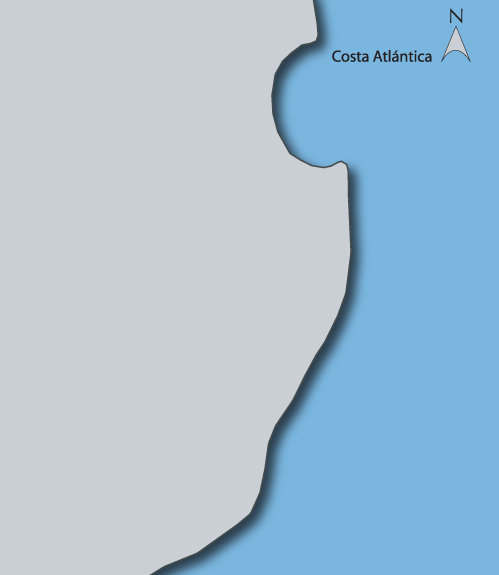 The Atlantic coast is shaped by the localities: Aguas Verdes, Carilo, Chapadmalal, General Madariaga, Las Toninas, Mar Azul, Mar Chiquita, Mar de las Pampas, Miramar, Necochea, Ostende, Pinamar, San Bernardo, San Clemente, Santa Clara del Mar, Santa Teresita, Valeria del Mar, Villa Gesell, and do not forget the populous Mar del Plata, all these inter connected by a path Interbalnearia. It is the main attraction in the summer season and destination with beaches nearby de la Ciudad de Buenos Aires. Their resorts are located very close to each other, while each village has its own profile as well and is in Mar de Ajó, San Clemente and Santa Teresita del Tuyú are mostly families in San Bernardo, Pinamar and Villa Gesell are most young holidaymakers, Carillo, Sea and Sea Blue Pampas, there are tourists who really want to disconnect, in exchange for those who prefer an offer varied and not bother them a popular destination in the city of Mar del Plata is the most popular destination for all seasons. The Atlantic coast Argentina is the ideal place to practice all water sports, in addition to fishing, hiking, surfing, windsurfing, Sandboard, etc. Aguas Verdes, Cariló, Chapadmalal, General Madariaga, Las Toninas, Mar Azul, Mar Chiquita, Mar de las Pampas, Miramar, Necochea, Ostende, Pinamar, San Bernardo, San Clemente, Santa Clara del Mar, Santa Teresita, Valeria del Mar, Villa Gesell.